Summer 2018 has been “A Mad Ting” for South London’s Kwayorclinch, As he revealed to BBC Radio 1xtra. He emerged with a freestyle filmed on his lunchbreak that he posted on Instagram. The website, Mixtape Madness, who championed his previous freestyles and 2016 Mixtape, ‘Took Me Long Enough’, posted the freestyle on their Youtube Platform. Then the freestyle truly went viral when GRM Daily reposted it garnering thousands of views and comments. The freestyle about the travails of his daytime occupation as a Lettings Agent turned into a recording and then an official video directed by Braidefilms called ‘Renting’. Narrated as a veritable “Day In The Life” of an Estate Agent over a heavy Drill Beat, it took London by storm. Racking up an impressive 300,000+ views in under two weeks, and a plethora of reaction videos by the young man who cites some of his influences as Meek Mill, Ghetts & Wiley. The Suit & Tie and the quality of the video took viewers by surprise as much as the obvious talent and subject matter of the track with a common theme in comments being; “Man just changed the game!!!”. The game being the much-maligned son of Hip Hop, Drill, which had recently been blamed as the cause of much of London’s teenaged violence. 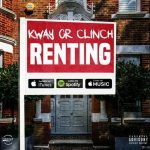 “He brings an energy that hasn’t existed in drill music yet, swapping the bars about life in the trap and on the streets, for those about selling houses. 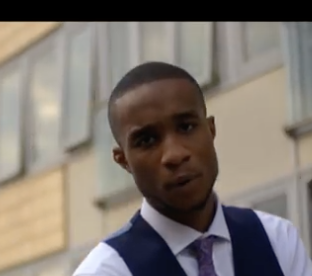 He’s an estate agent by day, but this clever track looks set to cement him as a force in music too.” Wrote GRM when premiering the video. 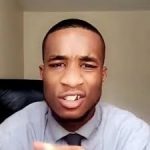 One side-effect of the viral nature of this video is that Kwayorclinch started being referred to as ‘the Estate Agent Rapper’ – “I don’t mind being known as the Estate Agent rapper – for now – but not for my whole career. I wanna be well established with regular charting music, touring, and be known all over the country and abroad and to be collaborating with all my favourite legends. As an Estate Agent? If I can’t open my own shop one day, then I’ll be a Landlord”.